On a beautiful Spring day, what is better than enjoying a burger and a shake in a lush green park? That’s what being American is all about right? Well, on a perfect Spring day in New York I spent the afternoon in gorgeous Madison Square Park enjoying Shake Shack. 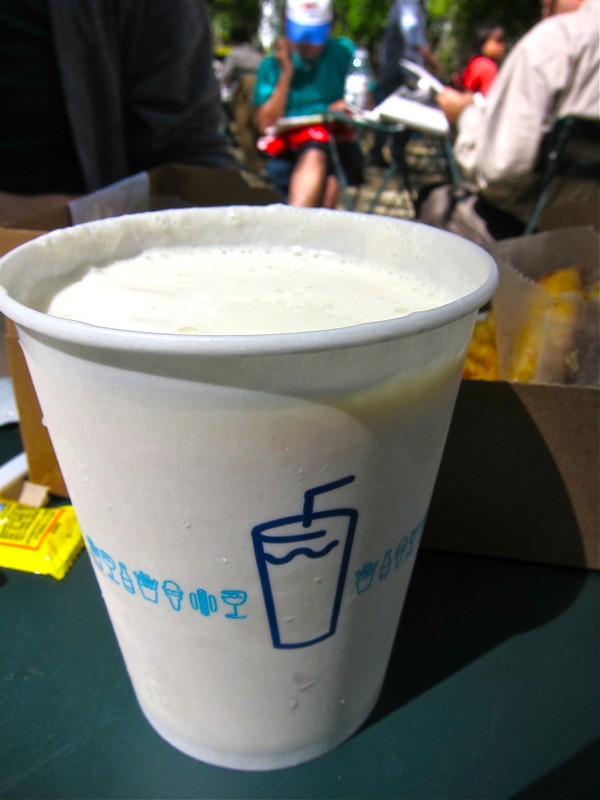 Shake Shack offers shakes, cones, and concretes (think Dairy queen blizzards – dense frozen blends). With so many ice cream options it was hard to choose, but I went with a classic and got a vanilla shake. Some say boring, I say tried, true and delicious. The shake was thick while remaining drinkable and it was sweet, smooth and satisfying. Should I have ordered a cone, a sundae and a concrete to boot? Yes I should have, but I’ll have to save that for next time. Until then this will be the shake I hold all other shakes up to. * On our visit we were lucky enough to get to experience the limited time Eat Madison Square Park, which was a mini festival of some of New York’s finest eateries. While waiting in line, R was able to check out Eat Madison Square Park and he brought back some Asia Dog while we waited to order our Shake Shack (yes we are pigs). If you live in NY go check it out, it lasts until June 3rd and offers some amazing eats. Why: The perfectly cooked burger is well worth the long wait. Bonus- just want one of their incredible shakes, or a cone, or a concrete jump in line B for a shorter wait! Next PostNext Hill Country Chicken – Home of the Pie Shake! I love that you got hotdogs while waiting for your burger! ok, fess up. what’s better, in-n-out or shake shack? i LOVE thick milk shakes. yumz. ahhhh, shake shack! i remember when i lived in nyc and it just opened; funny to see what a crazy phenomenon it has turned into. i will definitely be hitting it up again when i return end of june! After all these years, you know I still haven’t been. We passed it twice on my recent trip to New York last February. First after our dinner at Maialino’s and dessert at Eataly. (Too full to eat anymore) Then right before our dinner at Eleven Madison Park. (Didn’t want to ruin appetite). I will definitely not miss it this coming October. HELLLLO! That looks amazing. 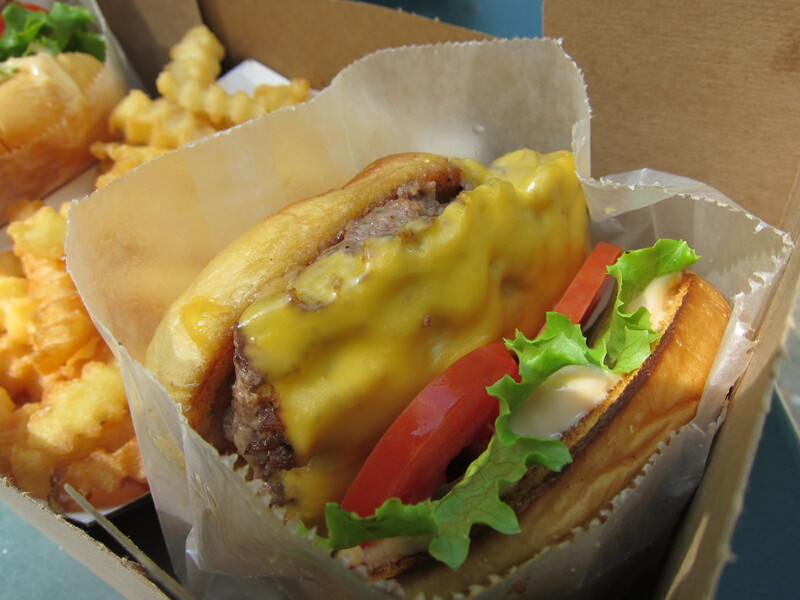 Next time I am in NYC, I am hittin’ up the Shake Shack. You have me inspired…so much that I want to grill a burger tonight and make a homemade shake! Alejandra- that’s how I roll 🙂 couldn’t pass up a chance to try asia dog when it was across the street! Roaming Belly – Even though i’m a native angeleno I have to say Shake Shack! Lynn- I’m back in NY end of June and can’t wait to make my way back to the shack! 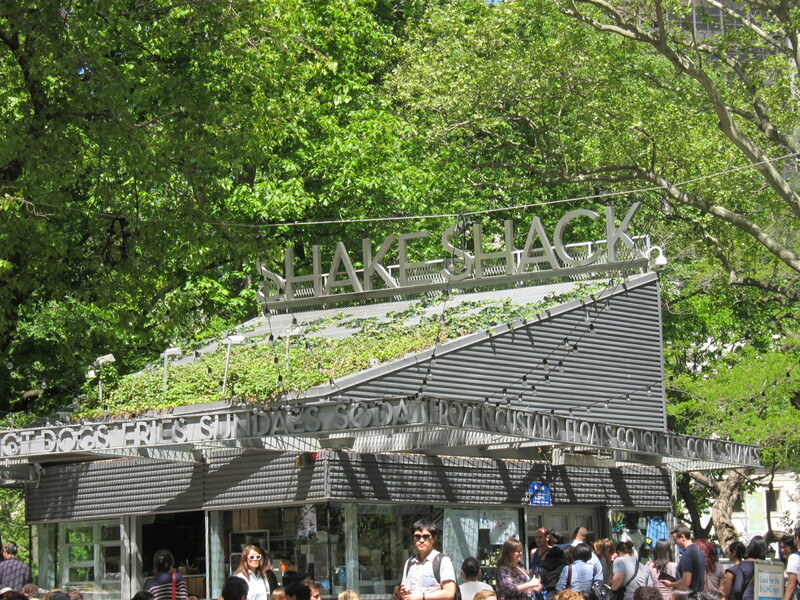 I had my first taste of Shake Shack during my first visit to NYC 2 years ago… I’ve been trying to find something in California that even resembles the burgers there.